Complete profile(education, contact info, practice areas, awards and honors, etc.) to maximize visibility on the site. This profile will be displayed when both members and non-members perform searches on the site. 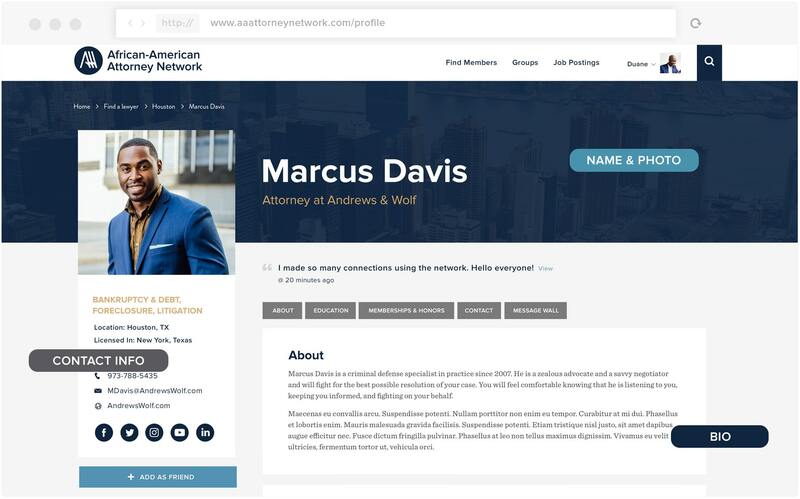 This level of membership will allow you to search for attorneys nationwide(both gold and silver members will populate when logged in). This level of membership will allow you to have access to all of the job postings submitted to the network. The 5 star rating system will allow other attorneys (who are also members) to rate the services that you offer. These ratings will be available for the public and members of the site to see. This level of membership includes a live "chat" feature that will allow you to communicate with other Gold members instantly. This level of membership includes instant notifications from the site to email and/or mobile device when a potential client/colleague attempts to contact you. Complete profile(education, contact info, practice areas, awards and honors, etc.) to maximize visibility on the site. This profile will be displayed only when members perform searches on the site(while logged in). 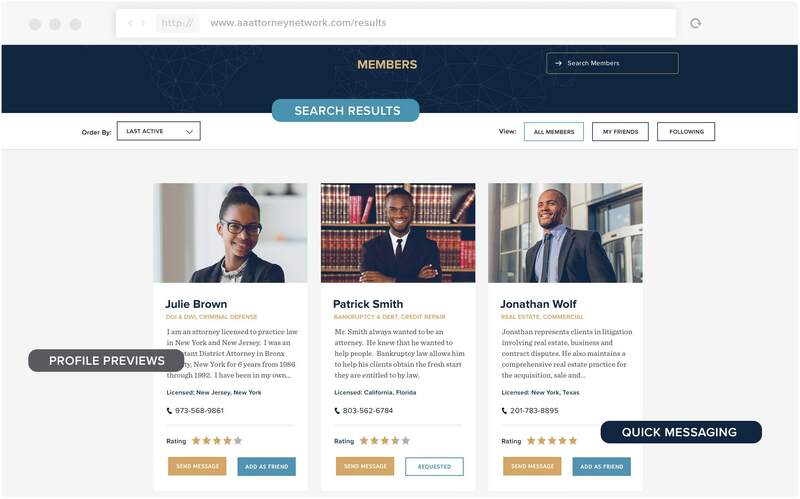 This membership will allow employers to create an account to search the database of attorneys (both gold and silver members). 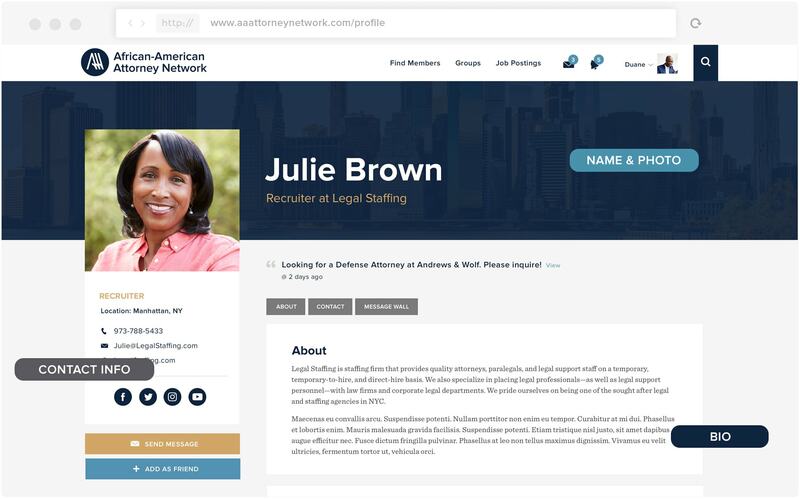 This membership will allow employers/recruiters to submit job listings on the site. 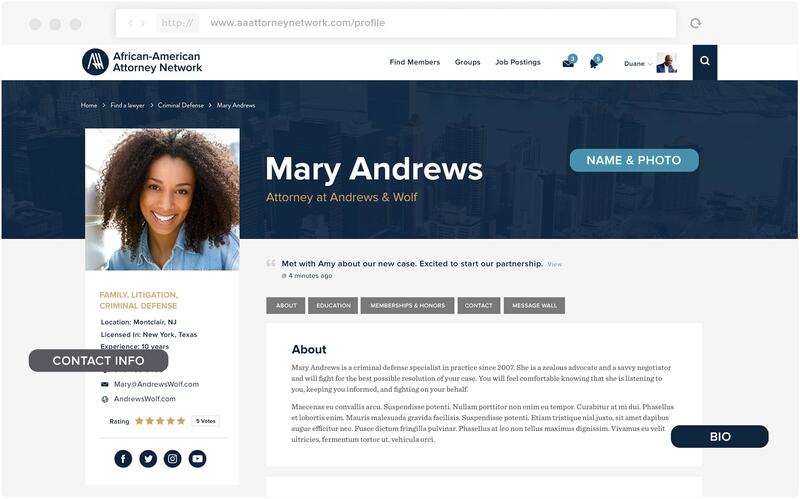 Comprehensive profile options for law students to assist with networking and/or job searches. 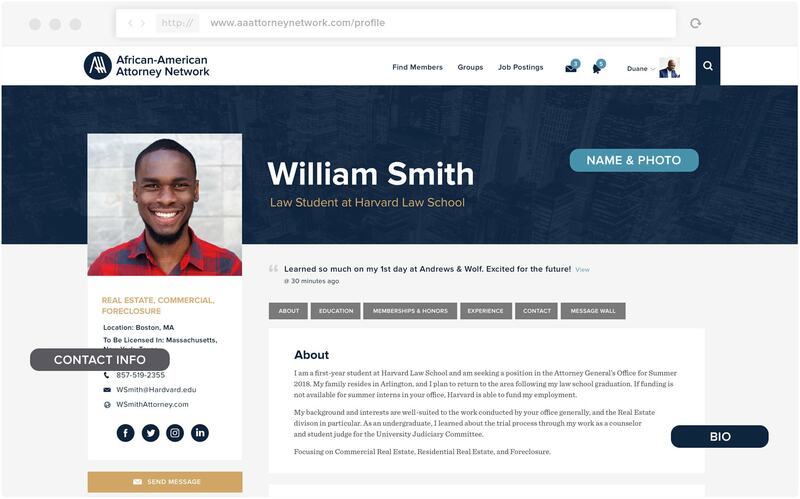 This membership will give law students the opportunity to search the database of attorneys (both gold and silver members), and also network with other law students. This membership will allow law students to search the job listings on the site.